It has been rumored that there will only be a short gap between the launch of Intel's socketed Broadwell and Skylake CPUs for desktop systems, and as such, the company will only launch two LGA 1150 Broadwell-based CPUs onto the market. 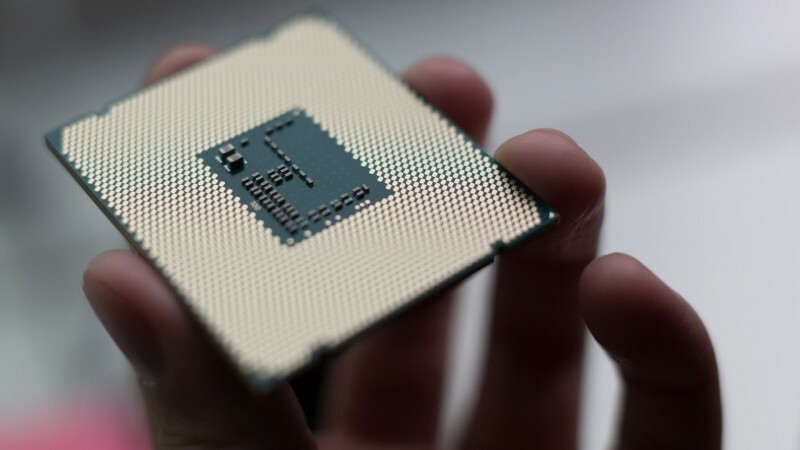 A report from VR-Zone details the two desktop Broadwell processors, manufactured using a 14nm process, that are expected to launch during Q2 2015. Both fully unlocked quad-core parts with Hyper-Threading, the Core i7-5775C and Core i5-5675C will have a rated TDP of 65W, support for DDR3L-1600 memory, and come with Iris Pro 6200 graphics. As for clock speeds, the i7-5775C features a base clock of 3.3 GHz that can Turbo up to 3.7 GHz, alongside 6 MB of L3 cache. The i5-5675C is a 3.1 GHz part that boosts up to 3.6 GHz, alongside 4 MB of L3 cache. Both of these CPUs have more modest specifications compared to their unlocked Haswell brothers, the i7-4790K and i5-4690K, the former of which is clocked at 4.0 GHz with a 4.4 GHz Turbo clock. With overclocking it could be another story, but it appears Intel is saving the next wave of high-performance CPUs for the Skylake launch. Intel has had trouble getting Broadwell silicon onto the market, first launching low-power Core M products at the end of 2014 after several delays, while performance parts are yet to debut. It's expected that the aforementioned Broadwell socketed desktop SKUs, alongside performance mobile chips, will debut around Computex in June. Skylake, Intel's new architecture on the same 14nm node as Broadwell, will reportedly launch in Q3 2015, leaving only a few months between CPU launches.